Have the crayons and your imagination handy! 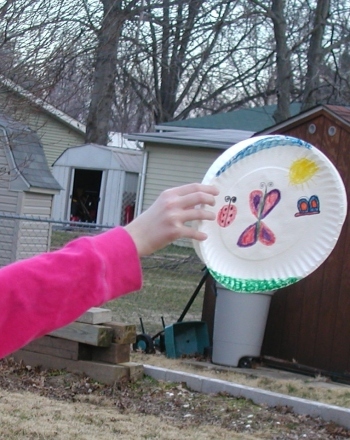 Color in Dainty with a Disk, a Frisbee yielding fairy caught in mid-air as she goes for the catch. For more sports fairies, click here. Pretty with Pom-Poms, a cute and perky cheerleader fairy, will be a hit coloring project for your kindergartener. Kindergarteners will love using pinks, purples, and reds to color in the Cupid fairy and the hearts surrounding her. Your kindergartener will be excited and use her imagination to color this action-packed scene of Graceful on the Gridiron, a football-playing fairy. 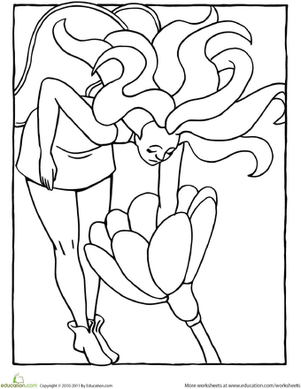 This fairy coloring page is full of magic! Can your child bring it to life with some color?